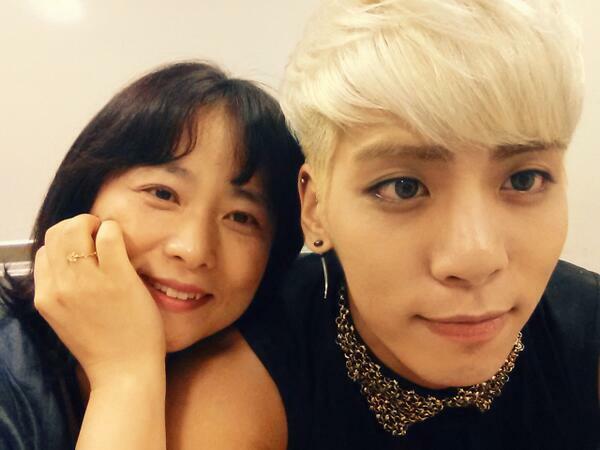 During the boys busy promotion schedule in Japan for “Boys Meet U”, lead singer Kim Jonghyun tweeted a photo with his mom today. His mom energizes him to keep performing. Jonghyun mentioned his mom and sister and shared his love for his family. BTSCelebs loves seeing the SHINee families! All rights to the image belongs to the Kim family. This entry was posted in Music, News, Technology and tagged 샤이니, 종현, kim jonghyun, SHINee. Bookmark the permalink.